Lillian Mae Pantos, 80, of Frederick, MD passed away peacefully in her sleep on March 23, 2019. Daughter of the late Rupert and Margaret Howell. Wife of the late John Pantos. Loving mother to her three daughters, Monica DeAgostino (Paul) of Frederick, MD, Justine Cocita (Eddie) of New Market, MD and Patience Gaskill (Bill) of Brookeville, MD. Devoted grandmother to six grandchildren, John Paul (19), Luke (17), Jacob (14), Ciara (8), Hope (8) and Liam (6). Lillian was born and lived in Pennsylvania until she was a teenager. Her family moved to Washington, DC and that’s where she and John met, married and began their life together. In 1971, John and Lillian moved to Olney, Maryland, with their young daughter Monica, and welcomed Justine and Patience into their family. Lillian stayed at home while her children were young and later worked as an Executive Secretary for Vitro Corporation and several Federal Government contractors. After John died and her children graduated from school and were married, she continued to work until the age of 75, took care of her father, Rupert until his death in 2013, travelled and spent lots of time with her grandchildren. 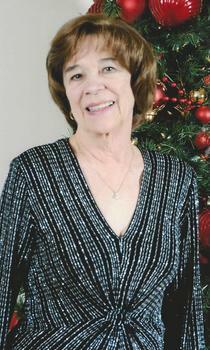 She moved to Urbana when her first three grandchildren were very young and loved being so close to them. When the other three came along she spread her time and love to all; always going from one school or sporting event to another, never missing a carpooling or babysitting opportunity, and enjoying family vacations to Disney World. Lilly and John’s favorite vacation spot was Ocean City, Maryland where they spent time every summer. She loved the beach, the boardwalk and the ice cream. She will be remembered every day. Relatives and friends may visit on Wednesday, March 27, 2019 from 6pm to 8pm at the Roy W. Barber Funeral Home, 21525 Laytonsville Rd., Laytonsville, MD 20882. A Funeral Mass will be on Thursday, March 28, 2019 at 11am at St. Peter's Catholic Church, 2900 Olney-Sandy Spring Rd., Olney, MD 20832. Interment will follow at Gate of Heaven Cemetery in Silver Spring, MD. Friends and relatives are invited to join the family at the home of Patience and Bill Gaskill following interment.